I usually create two types of matching worksheets for my students: picture to word matching and word to picture matching. I have already published the word to picture matching worksheets. 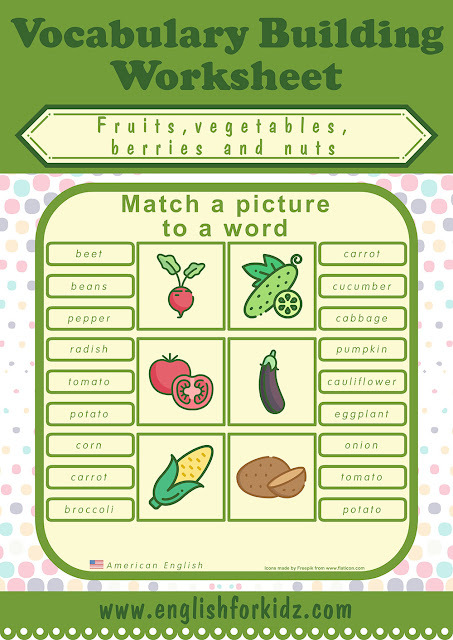 Today I’d like to share the other type of such printable handouts designed to learn fruits and vegetables vocabulary. 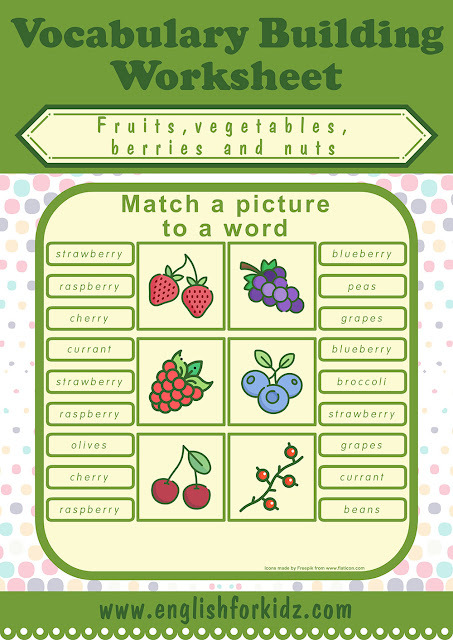 These worksheets suggest matching a picture of a fruit, vegetable, berry or a nut to the correct word out of three options. This activity helps kids memorize English names of fruits and vegetables introduced during previous lessons. 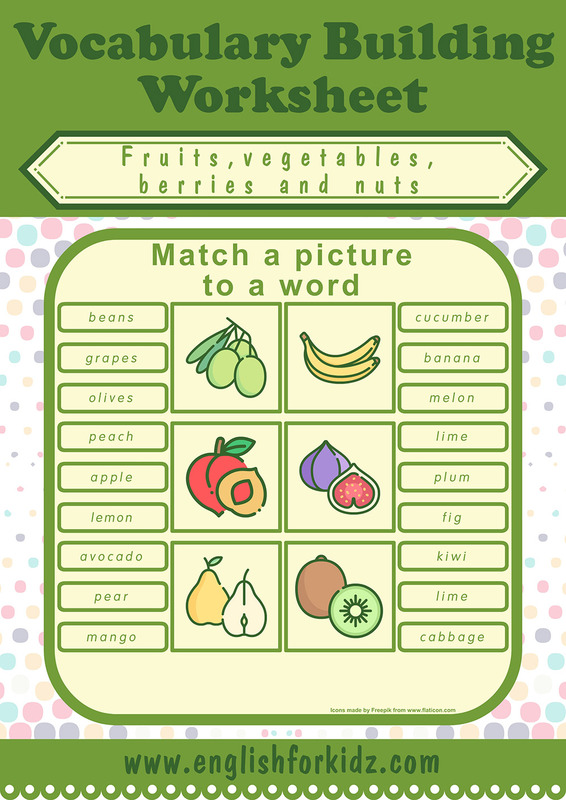 By the way ESL and EFL teachers can use my colorful flashcards for initial lessons when they present new words on the fruits & vegetables topic. 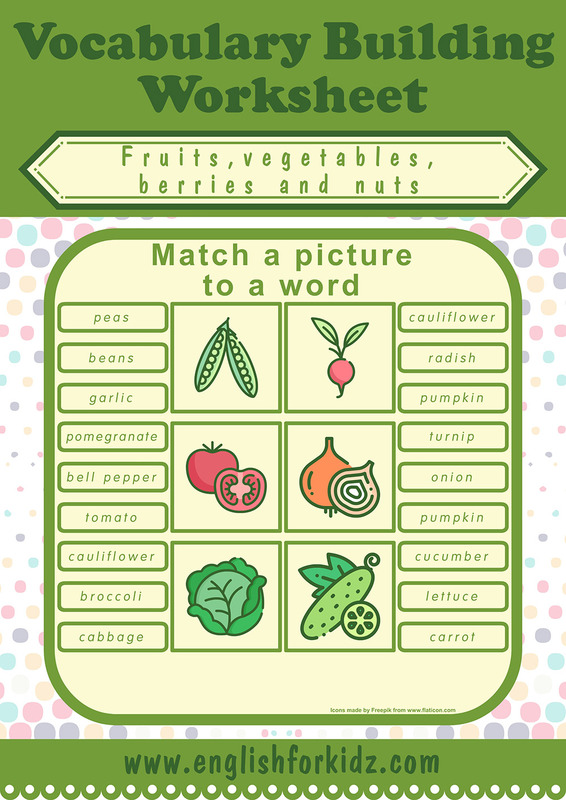 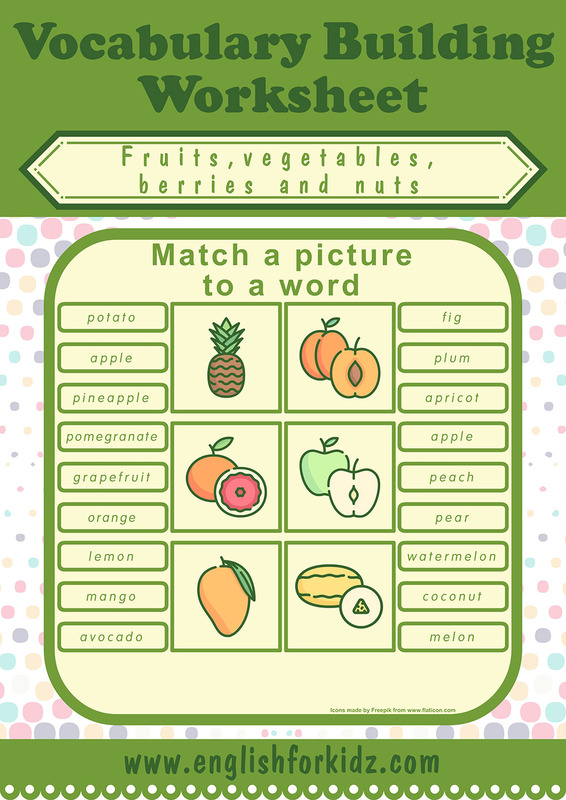 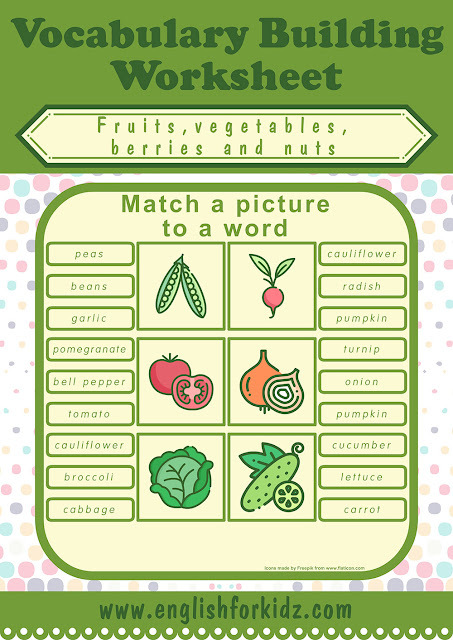 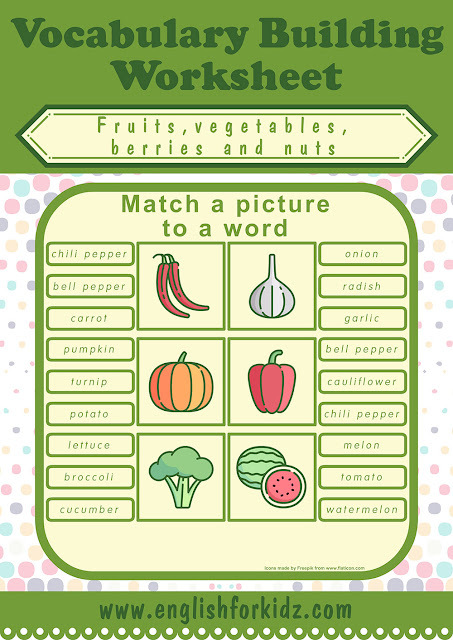 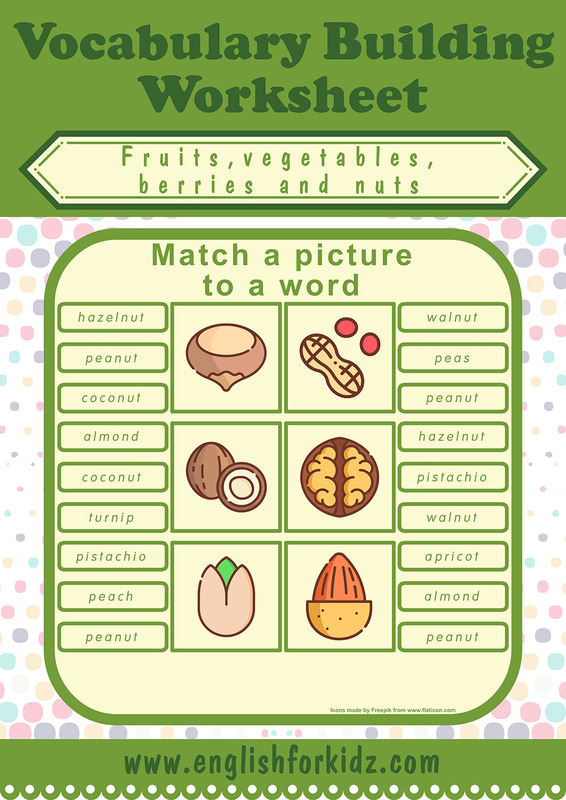 You can find the list of words that my picture to word matching worksheets help memorize in my first blog post dedicated to fruits & vegetables pritables. 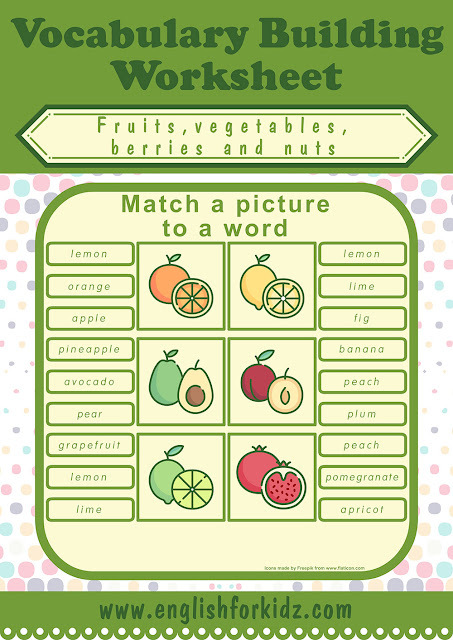 Educators are welcome to purchase the printer-ready PDF-based kit that includes a number of printable worksheets and games designed to learn the fruits & vegetables vocabulary: two kinds of word and picture matching worksheets, crossword puzzles, word search puzzles, collection of colorful flashcards, dominoes and bingo game. 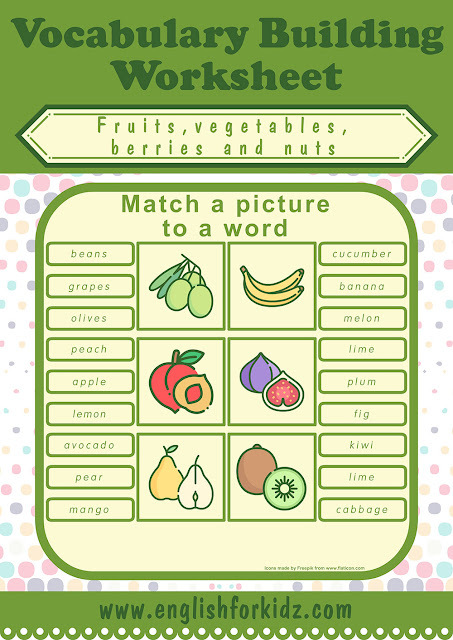 The kit also includes individual worksheets and game cards that feature British English variations of some words.